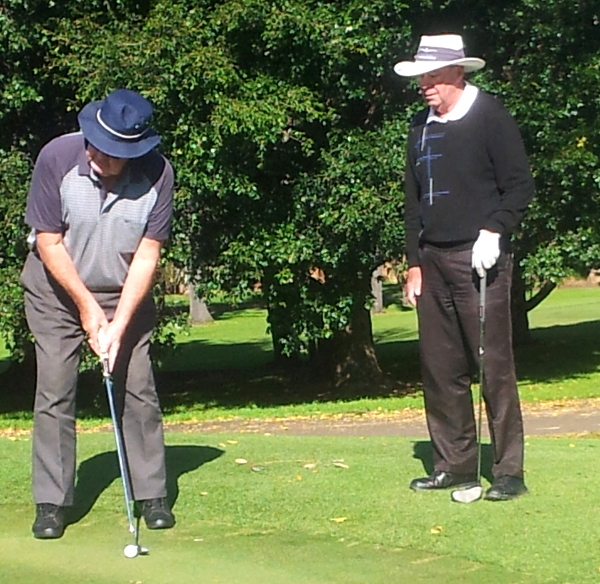 On Monday this week the opening round of the Trevor Bell Memorial Shield was held at Port Kembla Golf Club. The competition involves eight players from each club playing a stableford competition, with the best six scores counting towards the shield. The course was in excellent condition and the weather was fine and sunny. All of our players had good scores but the two outstanding rounds came from Pat Paris with 40 points and Gary Hemus with 39 points. Pat was one of three scores of 40 points on the day and won the runner up prize on a countback. Phil Gosling and Greg Seymour also played well to both score 35 points and our final two counting scores on the day came from Peter Young and Chris Goodwin with 33 points.